Compiled by Kevin W Chen, Ph.D.
Meditation-based treatment yielding immediate relief for meditation-naïve migraineurs. Pain Manag Nurs. 2014 Mar;15(1):36-40. By Tonelli ME, Wachholtz AB. Meditation is gaining popularity as an effective means of managing and attenuating pain and has been particularly effective for migraines. 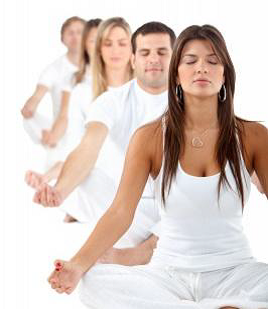 Meditation additionally addresses the negative emotional states known to exist with migraines. The purpose of this study was to evaluate the effectiveness of meditation as an immediate intervention for reducing migraine pain as well as alleviating emotional tension, examined herein as a negative affect hypothesized to be correlated with pain. Twenty-seven migraineurs, with two to ten migraines per month, reported migraine-related pain and emotional tension ratings on a Likert scale (ranging from 0 to 10) before and after exposure to a brief meditation-based treatment. All participants were meditation- naïve, and attended one 20-minute guided meditation session based on the Buddhist “loving kindness” approach. After the session, participants reported a 33% decrease in pain and a 43% decrease in emotional tension. The data suggest that a single exposure to a brief meditative technique can significantly reduce pain and tension, as well as offer several clinical implications. It can be concluded that single exposure to a meditative technique can significantly reduce pain and tension. The effectiveness and immediacy of this intervention offers several implications for nurses. Health benefits of qigong or tai chi for cancer patients: a systematic review and meta-analyses. Complement Ther Med. 2014 Feb;22(1):173-186. By Zeng Y, Luo T, Xie H, Huang M, Cheng AS. BACKGROUND: Cancer is a leading cause of death worldwide. Mind-body interventions are widely used by cancer patients to reduce symptoms and cope better with disease- and treatment-related symptoms. 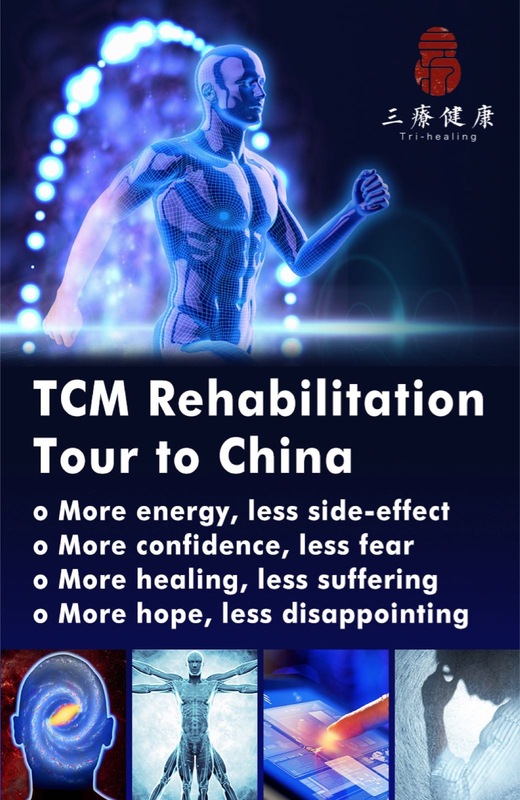 In the last decade, many clinical controlled trials of qigong/tai chi as a cancer treatment have emerged. 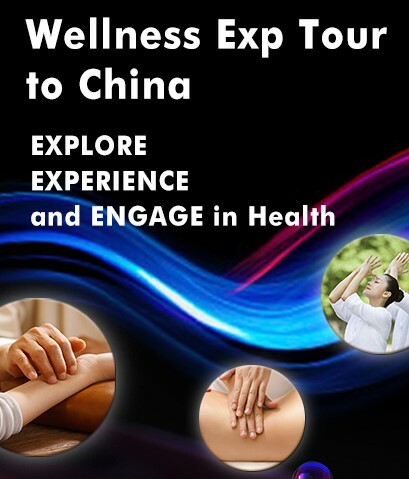 This study aimed to quantitatively evaluate the effects of qigong/tai chi on the health-related outcomes of cancer patients. METHODS: Five databases (Medline, CINAHL, Scopus, the Cochrane Library, and the CAJ Full-text Database) were searched until June 30, 2013. Randomized controlled trials (RCTs) of qigong/tai chi as a treatment intervention for cancer patients were considered for inclusion. The primary outcome for this review was changes in quality of life (QOL) and other physical and psychological effects in cancer patients. The secondary outcome for this review was adverse events of the qigong/tai chi intervention. RESULTS: A total of 13 RCTs with 592 subjects were included in this review. Nine RCTs involving 499 subjects provided enough data to generate pooled estimates of effect size for health-related outcomes. For cancer-specific QOL, the pooled weighted mean difference (WMD) was 7.99 [95% confidence interval (CI): 4.07, 11.91; Z score=4.00, p<0.0001]. The standardized mean differences (SMDs) for changes in depression and anxiety score were -0.69 (95% CI: -1.51, 0.14; Z score=1.64, p=0.10), and -0.93 (95% CI: -1.80, -0.06; Z score=2.09, p=0.04), respectively. The WMDs for changes in body mass index and body composition from baseline to 12 weeks follow-up were -1.66 (95% CI: -3.51, 0.19; Z score=1.76, p=0.08), and -0.67 (95% CI: -2.43, 1.09; Z score=0.75, p=0.45) respectively. The SMD for changes in the cortisol level was -0.37 (95% CI: -0.74, -0.00; Z score=1.97, p=0.05). CONCLUSION: This study found that qigong/tai chi had positive effects on the cancer-specific QOL, fatigue, immune function and cortisol level of cancer patients. However, these findings need to be interpreted cautiously due to the limited number of studies identified and high risk of bias in included trials. Further rigorous trials are needed to explore possible therapeutic effects of qigong/tai chi on cancer patients. Improving creativity performance by short-term meditation. Behav Brain Funct. 2014 Mar 19;10(1):9. By Ding X, Tang YY, Tang R, Posner MI. BACKGROUND: One form of meditation intervention, the integrative body-mind training (IBMT) has been shown to improve attention, reduce stress and change self-reports of mood. In this paper we examine whether short-term IBMT can improve performance related to creativity and determine the role that mood may play in such improvement. METHODS: Forty Chinese undergraduates were randomly assigned to short-term IBMT group or a relaxation training (RT) control group. Mood and creativity performance were assessed by the Positive and Negative Affect Schedule (PANAS) and Torrance Tests of Creative Thinking (TTCT) questionnaire respectively. RESULTS: As predicted, the results indicated that short-term (30 min per day for 7 days) IBMT improved creativity performance on the divergent thinking task, and yielded better emotional regulation than RT. In addition, cross-lagged analysis indicated that both positive and negative affect may influence creativity in IBMT group (not RT group). CONCLUSIONS: Our results suggested that emotion-related creativity-promoting mechanism may be attributed to short-term meditation. 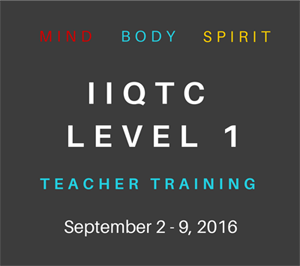 Empirical study of the influence of a Laughing Qigong Program on long-term care residents. Geriatr Gerontol Int. 2014 Feb 18. By Hsieh CJ, Chang C, Tsai G, Wu HF. AIM: To determine the psychological and physiological effects of a Laughing Qigong Program on an elderly population in an institutionalized setting. METHODS: Participants were recruited from a long-term care institution in northern Taiwan. A total of 99 residents were interviewed and 66 enrolled, there were 33 control participants and 33 experimental participants. The participants were matched according to their abilities as measured by the Barthel Index of Activities for Daily Living. 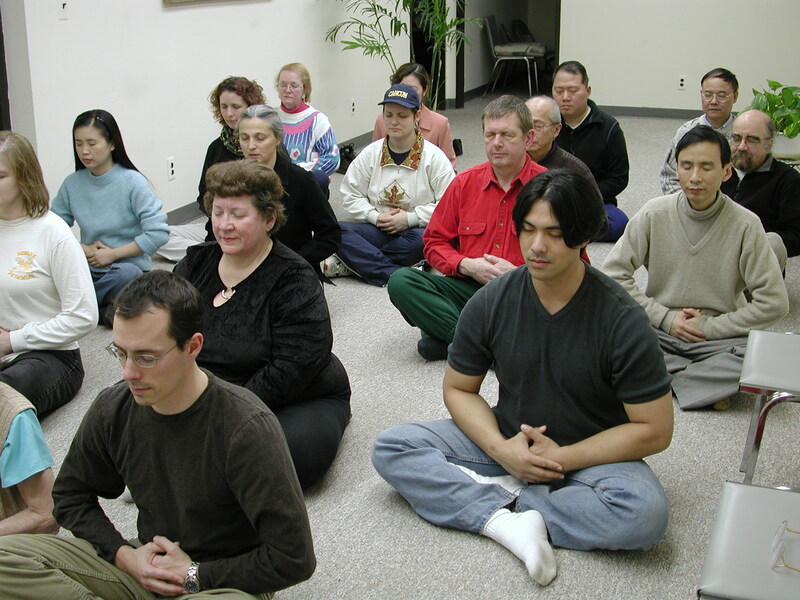 Experimental participants attended the Laughing Qigong Program, twice a week for 4 weeks. Comparisons were made on the Mini-Mental State Examination, Faces Scale, Geriatric Depression Scale and cortisol levels. RESULTS: Psychometric measures for participants in the experimental group improved, whereas those in the control group decreased. The experimental group showed the following changes: improved Mini-Mental State Examination scores (Z = -2.28; P < 0.05), improved mood states (Z = -4.47; P < 0.001) and decreased Geriatric Depression Scale scores (Z = 3.79; P < 0.001). There were no significant changes for the experimental group in cortisol levels. By comparison, the control group showed: decreased mood states (Z = 2.53; P < 0.011), increased Geriatric Depression Scale scores (Z = 4.34; P < 0.001) and significant increases in cortisol levels (Z = 2.62; P < 0.009). CONCLUSIONS: The Laughing Qigong Program has shown to be an effective, cost-effective non-pharmacological therapy for cognitive impairment, mood states and elderly depression. A meta-analytic review of the effects of mindfulness meditation on telomerase activity. Psycho-neuroendocrinology. 2014; 42:45-8. By Schutte NS, Malouff JM. The enzyme telomerase, through its influence on telomere length, is associated with health and mortality. 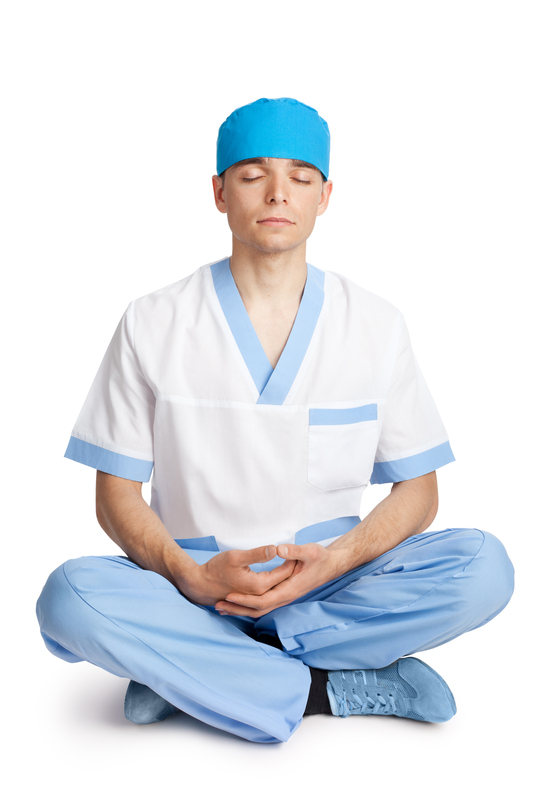 Four pioneering randomized control trials, including a total of 190 participants, provided information on the effect of mindfulness meditation on telomerase. A meta-analytic effect size of d=0.46 indicated that mindfulness meditation leads to increased telomerase activity in peripheral blood mononuclear cells. These results suggest the need for further large-scale trials investigating optimal implementation of mindfulness meditation to facilitate telomerase functioning. Non-directive meditation activates default mode network and areas associated with memory retrieval and emotional processing. Front Hum Neurosci. 2014 Feb 26;8:86. By Xu J, Vik A, Groote IR, et al. 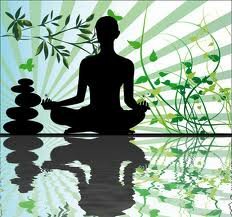 Non-directive meditation techniques are practiced with a relaxed focus of attention that permits spontaneously occurring thoughts, images, sensations, memories, and emotions to emerge and pass freely, without any expectation that mind wandering should abate. These techniques are thought to facilitate mental processing of emotional experiences, thereby contributing to wellness and stress management. The present study assessed brain activity by functional magnetic resonance imaging (fMRI) in 14 experienced practitioners of Acem meditation in two experimental conditions. In the first, non-directive meditation was compared to rest. Significantly increased activity was detected in areas associated with attention, mind wandering, retrieval of episodic memories, and emotional processing. 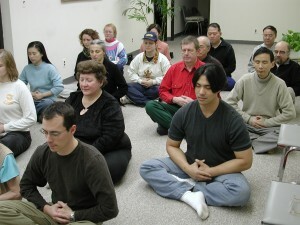 In the second condition, participants carried out concentrative practicing of the same meditation technique, actively trying to avoid mind wandering. The contrast non-directive meditation > concentrative practicing was characterized by higher activity in the right medial temporal lobe (parahippocampal gyrus and amygdala). In conclusion, the present results support the notion that non-directive meditation, which permits mind wandering, involves more extensive activation of brain areas associated with episodic memories and emotional processing, than during concentrative practicing or regular rest. A week-long meditation retreat decouples behavioral measures of the alerting and executive attention networks. Front Hum Neurosci. 2014 Feb 17;8:69. By Elliott JC, Wallace BA, Giesbrecht B. PREVIOUS STUDIES HAVE EXAMINED THE INFLUENCE OF MEDITATION ON THREE FUNCTIONALLY DIFFERENT COMPONENTS OF ATTENTION: executive control, alerting, and orienting. These studies have consistently found that meditation training improves both executive attention and alerting, but there has not been a consistent and clear effect of meditation training on orienting. In addition, while previous studies have shown that the functional coupling of the alerting and executive networks increases the processing of task irrelevant stimuli, it is unknown if participating in a meditation retreat can decouple these components of attention and lead to improved performance. The current study investigated the influence of a week-long intensive meditation retreat on three components of attention by randomly assigning participants to either pre- or post-retreat testing groups. A modified attention network test (ANT) was used. Executive attention was measured as the difference in response time (RT) between congruent and incongruent task irrelevant flankers (conflict effect). Reflexive and volitional orienting were measured by manipulating cue validity and stimulus onset asynchrony (SOA). The coupling of executive attention and alerting was measured by examining flanker interference as a function of the SOA of an alerting cue. The meditation retreat improved task based indices of executive attention, but not reflexive or volitional orienting. There was clear behavioral evidence of coupling between executive attention and alerting in the pre-retreat group, as the conflict effect peaked when an alerting cue was presented 300 ms before the target. Importantly, there was no increase in the conflict effect for the post-retreat group. This is consistent with the notion that the retreat decoupled the executive and alerting networks. These results suggest that previously reported improvements in the executive and alerting networks after meditation training might be mediated by the same underlying mechanism. Group vs. Single Mindfulness Meditation: Exploring Avoidance, Impulsivity, and Weight Management in Two Separate Mindfulness Meditation Settings. Appl Psychol Health Well Being. 2014 Feb 28. By Mantzios M, Giannou K.
Recent research has identified that mindfulness meditation in group settings supports people who are trying to lose weight. The present research investigated mindfulness meditation in group and individual settings, and explored the potential impact on weight loss and other factors (i.e. mindfulness, impulsivity, and avoidance) that may assist or hinder weight loss. Specifically, the hypotheses tested were that the group setting assisted dieters more than the individual setting by reducing weight, cognitive-behavioral avoidance, and impulsivity and by increasing mindfulness. Participants (n = 170) who were trying to lose weight were randomly assigned to practice meditation for 6 weeks within a group or independently. Measurements in mindfulness, cognitive-behavioral avoidance, impulsivity, and weight occurred twice (pre- and post-intervention). Results indicated that participants in the group setting lost weight and lowered their levels of cognitive-behavioral avoidance, while impulsivity and mindfulness remained stable. On the other hand, participants in the individual condition lost less weight, while there was an increase in cognitive-behavioral avoidance and mindfulness scores, but a decrease in impulsivity. Seeing that benefits and limitations observed in group settings are not replicated when people meditate alone, this study concluded that mindfulness meditation in individual settings needs to be used with caution, although there are some potential benefits that could aid future weight loss research. Evaluation of Vipassana Meditation Course Effects on Subjective Stress, Well-being, Self-kindness and Mindfulness in a Community Sample: Post-course and 6-month Outcomes. Stress Health. 2014 Feb 11. By Szekeres RA, Wertheim EH. Residential Vipassana meditation courses, which teach mindfulness skills, are widely available globally but under-evaluated. This study examined effects of a standardized, community-based Vipassana course, on subjective stress, well-being, self-kindness and trait mindfulness in a community sample. Participants completed self-report measures of these variables at pre-course and post-course (n = 122), and outcomes were compared to a control group of early enrollers (EEs) (n = 50) who completed measures at parallel time points before course commencement. Six-month follow-up was undertaken in the intervention group (n = 90). 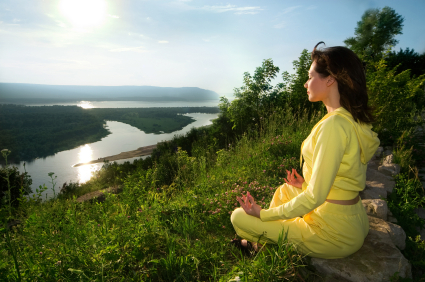 Findings, including intention-to-complete analyses, suggested positive effects of the Vipassana course in reducing subjective stress and increasing well-being, self-kindness and overall mindfulness (present-moment awareness and non-reaction). Although some reductions in post-course gains were found at follow-up, particularly in stress, follow-up scores still showed improvements compared to pre-course scores. Mindfulness change scores between pre-course and 6-month follow-up were moderately to highly correlated with outcome variable change scores, consistent with the idea that effects of the Vipassana course on stress and well-being operate, at least partially, through increasing mindfulness. The present research underscores the importance of undertaking further investigations into Vipassana courses’ effects and applications. 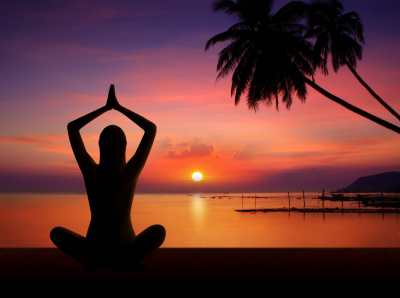 Yoga as an alternative and complementary approach for stress management: a systematic review. J Evid Based Complementary Altern Med. 2014 Jan;19(1):59-67. By Sharma M.
Stress has become a global public health problem. Yoga offers one possible way of reducing stress. The purpose of this study was to look at studies from 2011 to May 2013 and examine whether yoga can be an efficacious approach for managing stress. A systematic search of Medline, CINAHL, and Alt HealthWatch databases was conducted for quantitative articles involving all schools of yoga. A total of 17 articles met the inclusion criteria. Six of these were from the United States, 3 from India, 2 from the United Kingdom, and 1 each from Australia, Brazil, Germany, Iraq, Sweden, and Taiwan. Of the 17 studies, 12 demonstrated positive changes in psychological or physiological outcomes related to stress. Despite the limitations, not all studies used a randomized controlled design, had smaller sample sizes, had different outcomes, had non-standardized yoga intervention, and had varying lengths, yoga appears to be a promising modality for stress management. Effects of yoga on cardiovascular disease risk factors: A systematic review and meta-analysis. Int J Cardiol. 2014 Feb 25. By Cramer H, Lauche R, Haller H, et al. BACKGROUND: The aim of this review was to systematically assess and meta-analyze the effects of yoga on modifiable biological cardiovascular disease risk factors in the general population and in high-risk disease groups. METHODS: MEDLINE/PubMed, Scopus, the Cochrane Library, and IndMED were screened through August 2013 for randomized controlled trials (RCTs) on yoga for predefined cardiovascular risk factors in healthy participants, non-diabetic participants with high risk for cardiovascular disease, or participants with type 2 diabetes mellitus. Risk of bias was assessed using the Cochrane risk of bias tool. RESULTS: Forty-four RCTs with a total of 3168 participants were included. Risk of bias was high or unclear for most RCTs. Relative to usual care or no intervention, yoga improved systolic (mean difference (MD)=-5.85mmHg; 95% confidence interval (CI)=-8.81, -2.89) and diastolic blood pressure (MD=-4.12mmHg; 95%CI=-6.55, -1.69), heart rate (MD=-6.59bpm; 95%CI=-12.89, -0.28), respiratory rate (MD=-0.93breaths/min; 95%CI=-1.70, -0.15), waist circumference (MD=-1.95cm; 95%CI=-3.01, -0.89), waist/hip ratio (MD=-0.02; 95%CI=-0.03, -0.00), total cholesterol (MD=-13.09mg/dl; 95%CI=-19.60, -6.59), HDL (MD=2.94mg/dl; 95%CI=0.57, 5.31), VLDL (MD=-5.70mg/dl; 95%CI=-7.36, -4.03), triglycerides (MD=-20.97mg/dl; 95%CI=-28.61, -13.32), HbA1c (MD=-0.45%; 95%CI=-0.87, -0.02), and insulin resistance (MD=-0.19; 95%CI=-0.30, -0.08). Relative to exercise, yoga improved HDL (MD=3.70mg/dl; 95%CI=1.14, 6.26). CONCLUSIONS: This meta-analysis revealed evidence for clinically important effects of yoga on most biological cardiovascular disease risk factors. Despite methodological drawbacks of the included studies, yoga can be considered as an ancillary intervention for the general population and for patients with increased risk of cardiovascular disease. 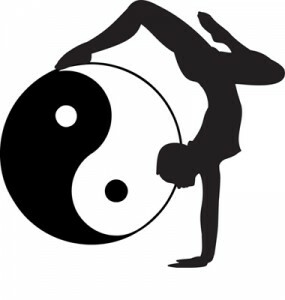 This entry was posted in Mind-Body Research Update, Qigong, Tai Chi, Yoga and tagged meditation, taiji. Bookmark the permalink. 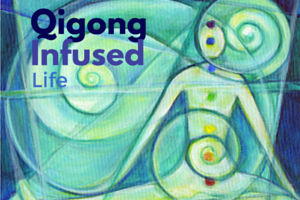 There is no diagnostic method in modern Yoga, as in Qigong. Hence, Yoga postures for problems were discovered by trial and error. If you have a physical problem consult a doctor or physical therapist. Many Yoga teachers have little training in anatomy and physiology. Seniors should be especially careful in starting a Yoga class because of the possibliy of injury, which has not been widely publicized.